Our CityBlast affliate program is very simple and takes only a moment to set up. You'll be underway in no time, and can begin referring your clients and customers to CityBlast. Our largest current affiliates earn thousands of dollars every month in commissions, and get nothing but positive praise back from their clients and friends regarding the service. If you'd like a testimonial, let us know! 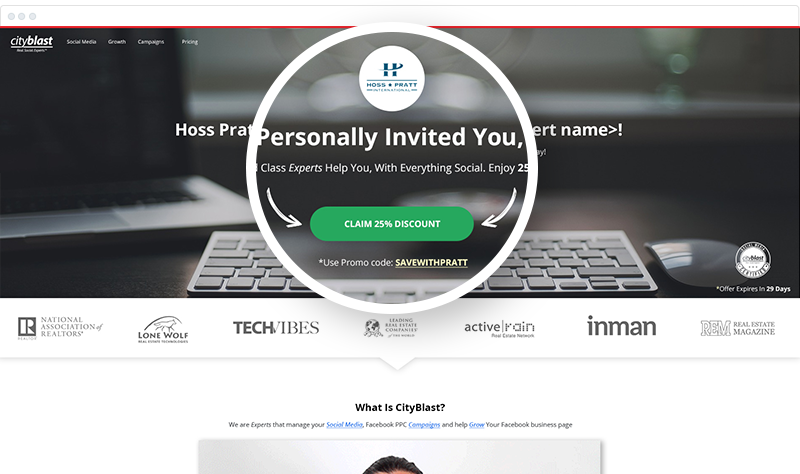 Start spreading the word and refer a friend to a CityBlast account using your own unique affiliate link. We pay you for the duration of that member's tenure. Calculated based on the total charges paid by your referred members. Your commissions are calculated every month, and paid the following month. Easy! 1. You get your own custom landing page and URL on our site. Any new members that sign up via the affliate landing page URL will be automatically tracked to you and will be commissionable. 2. Additionally, you are provided with a unique promotional discount code that can be offered to prospects. Any new member registering via your landing page OR using your promo code will automatically count towards your commissions. We also offer a generous 60 day tracking cookie on all leads generated through your Affiliate link. No more losing leads! Get in touch and become an Affiliate Today!